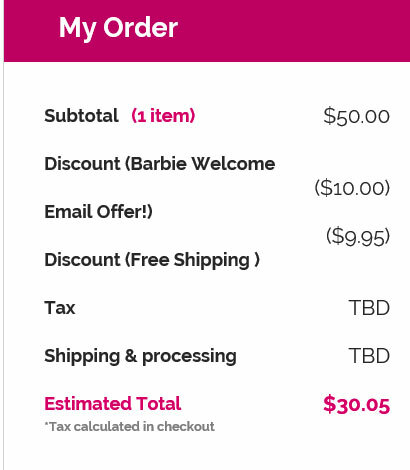 We know Barbie complained “Math is hard”, but I m so not happy that she does not make any efforts to improve herself. and I have to pay for her mistakes. 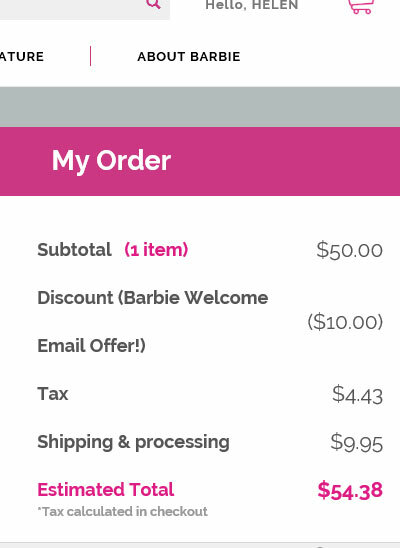 The other day I ordered a doll with a $10 off discount code, before I clicked on “complete order”, it showed the total was $66, but after I submitted my order, my card was charged for $76. Moving on to “payment”, you can see the total amount has increased to $40. 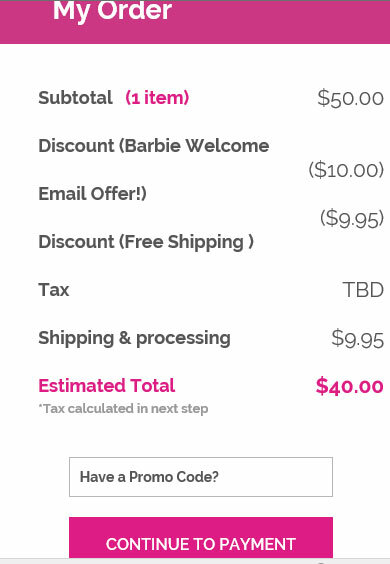 at this point, I wouldn’t try to push the “complete order” button, it may become $64 … that was what happed to my last order, on the “complete order” page, it showed the total was $66, after I submitted the order, it became $76.